MAD Architects have been commissioned to design a new family home at Green Farm in Holmesfield, North East Derbyshire. Green farm sits in a lovely position within the conservation area in the village of Holmesfield offering far reaching views of the surrounding countryside. A number of options have been investigated including that of converting the existing farmhouse and barns on the site. A new build house was chosen as the best option to deliver our Clients brief and work sympathetically within the constraints of the existing site. The new dwelling takes its form and volume from the shape of the traditional buildings in the area in a contemporary vernacular style and the new volume encloses and formalises the existing courtyard. Traditional materials will be used; a stone plinth punctured with glazed picture windows with a lightweight timber clad upper floor. 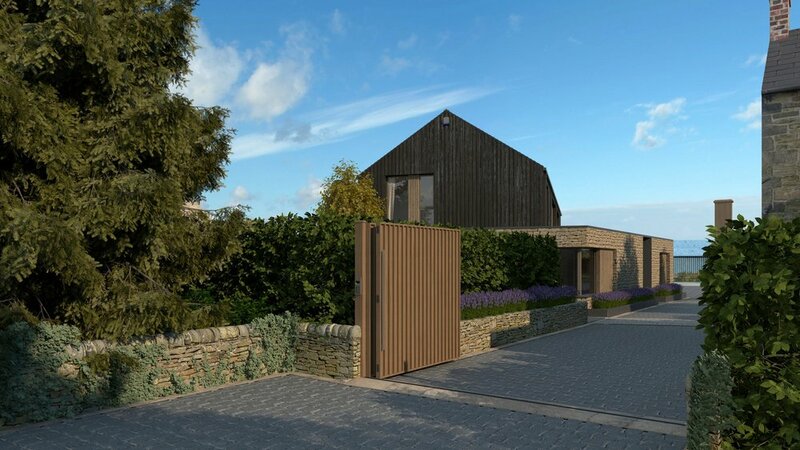 Our Clients are keen to achieve a highly sustainable construction and a number of sustainable features will be incorporated into the new dwelling.